Heart rate variability is something used by cardiologists and exercise physiologists to measure the overall impact stress is having on a your nervous system. More recently it has been shown that spinal cord tension affects this score, and therefore select chiropractors have integrated this measurement into their practice. If you have had a persistent stress, your score will indicate a “fight or flight” response – as if your foot is always on the gas pedal. By moving you toward a more balanced state, your body can begin to heal and feel calm again. This test uses a sensor placed on your hand to measure your heart rate over a six minute period. 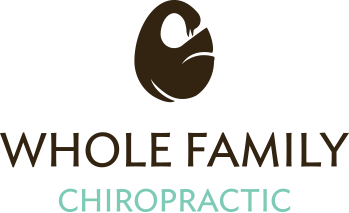 Before care at Whole Family Chiropractic his work stress caused him to be short-tempered and tired when he returned home. After care at Whole Family Chiropractic he was able to return home after a long day of work feeling clam, peaceful, and still have energy to play with his kids!